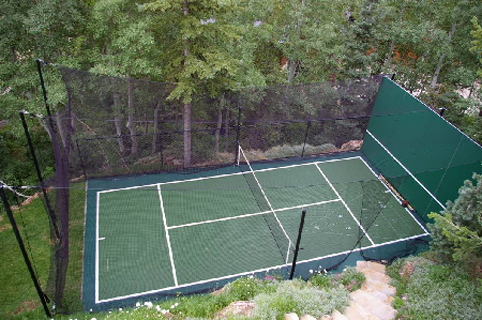 Panels to be green with integrated white net line. 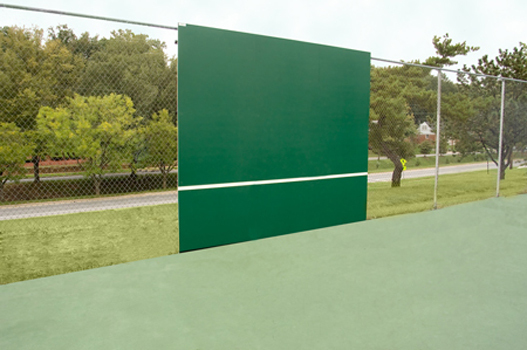 Panels are 10′ high and available in any 4′ wide increment. Custom colors and custom engraving available. Highly flexible panel on patent-pending mounting system. Mounting Hardware: Our Patent Pending mounting system includes all mounting hardware. (4) 12 Gauge, Galvanized Mounting Brackets are mounted horizontally to fence posts. Bottom Panel Support is Powder Coated Aluminum. All nuts, bolts, and mounting brackets are stainless steel. Polyethylene Dampeners help to reduce sound and vibration. 8 degree back-sloped models utilize aluminum columns. 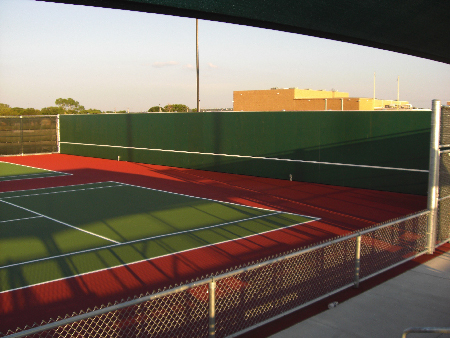 Mounting Requirements: Rally Master Backboards are generally installed on tennis courts utilizing round pipe. 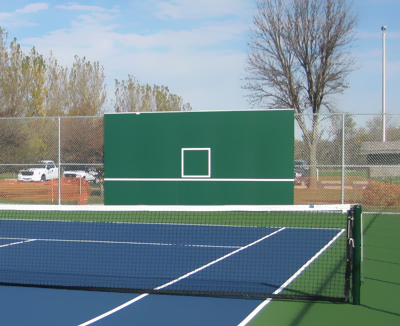 However, they can be adapted to be mounted as free standing units or mounted on block walls. 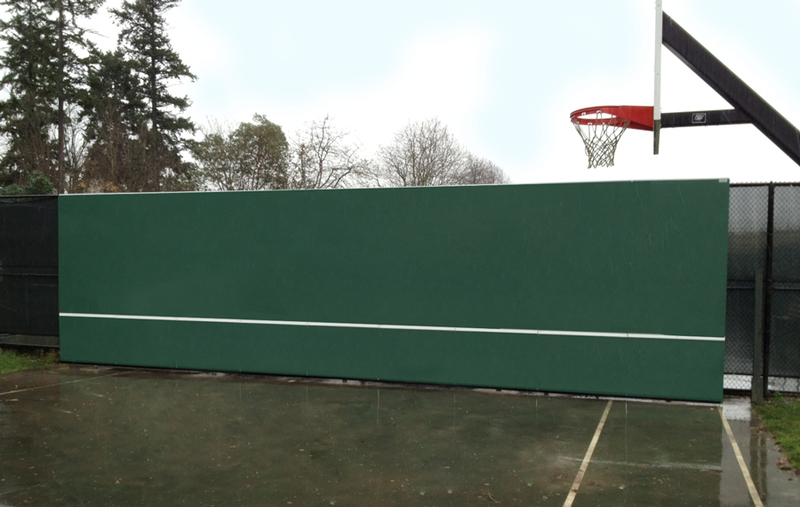 Maximum Post Spacing: 10’ O.C.